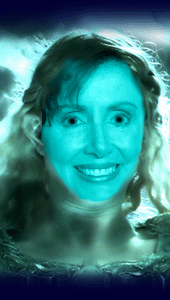 The Dividist Papers: Nancy Pelosi tempted by the One Ring. Nancy Pelosi tempted by the One Ring. "I do not deny that my heart has greatly desired what you offer. For many long years I had pondered what I might do, should the Great Ring of Congressional House Rulemaking come into my hands, and behold! It was brought within my grasp. 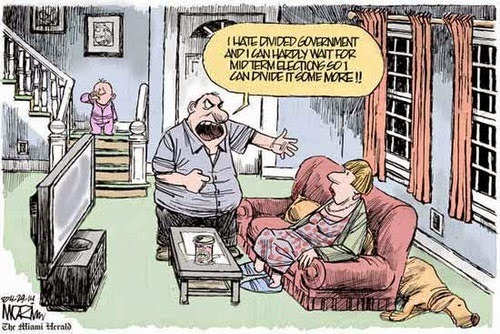 The Republican evil that was devised long ago works on in many ways, whether Bush himself stands or falls. Would not that have been a noble deed to set to the credit of his Ring, if I had taken it by force or fear from my guest? She lifted up her hand and from the ring that she wore there issued a great light that illuminated her alone and left all else dark. She stood before Congress seeming now tall beyond measurement, and beautiful beyond enduring, terrible and worshipful. Then she let her hand fall, and the light faded, and suddenly she laughed again, and lo! she was shrunken: a slender congresswoman, clad in simple burgundy, whose gentle voice was soft and sad. 'I pass the test,' she said. 'I will diminish, protect the minority party rights and go into the West, and remain Nancy." Then, suddenly she turned back and in one terrible sweep of her hand grabbed the ring of out of Frodo Hastert's outstretched hand and placed it on her finger. "I'll only wear it for 100 hours or so... it looks good with this necklace don't you think?" - with apologies to J.R.R. Tolkien, Peter Jackson, and Cate Blanchett. Yes, Andrew. A little too easy. 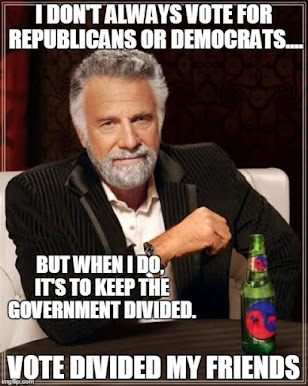 Technorati tags: divided government, Nancy Pelosi, libertarian, House Speaker, One Ring, House of Representatives, Congress, 2006 election, Democrat, Republican. "Fear not, you who would fate resist; from shards of Day comes paradise! A wisdom higher than the high, an understanding vast, immense!" The rest is here, by the way, but you'll have to paste the link together.